Chiao Thai Hsing Enterprise Co.,Ltd. Under the invitation of the Taiwanese government, Mr. Kou-Chang Lin, founder of Chiao Thai Hsing Enterprise Co., Ltd., returned to Taiwan in 1953 and established Chiahe Flour. The mill was set up near Nangang Train Station in provision for the transportation of wheat, and the latest flour production equipment was imported from the United States. Under the leadership of Mr. Lin and the collective efforts of all the employees, the “Chiao (僑),” chrysanthemum, gladiolus logo became a household brand. Today, it is still the preferred brand for many established stores. With the increase in sales and revenue, the Company was able to upgrade its equipment on numerous occasions, such as introducing German MIAG Flour Mill and Swiss Buhler Flour Mill. 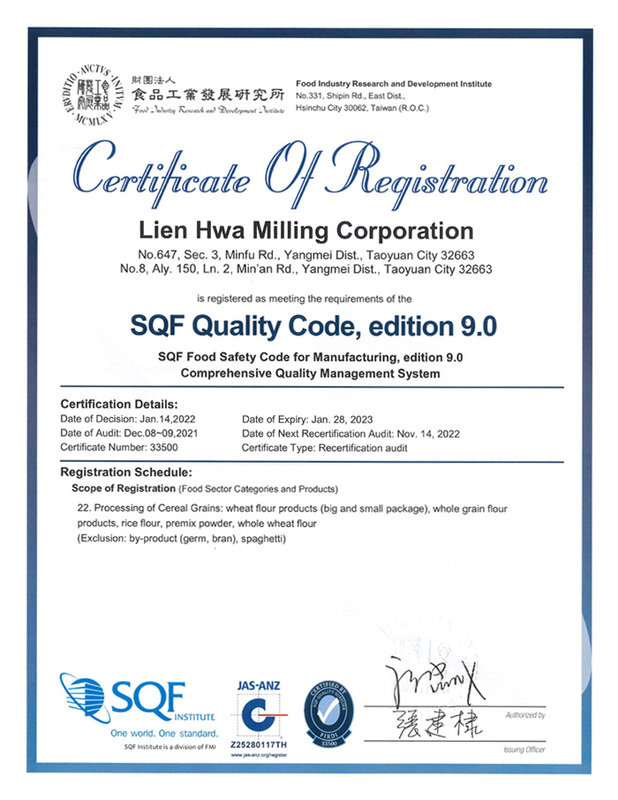 The Company also centered resources into enhancing quality management by passing SQF (Safe Quality Food) Level 3- the highest level certification, ISO 22000, HACCP, and Taiwan Quality Food (TQF). © 2018 Chiao Thai Hsing Enterprise Co.,Ltd. All Rights Reserved.